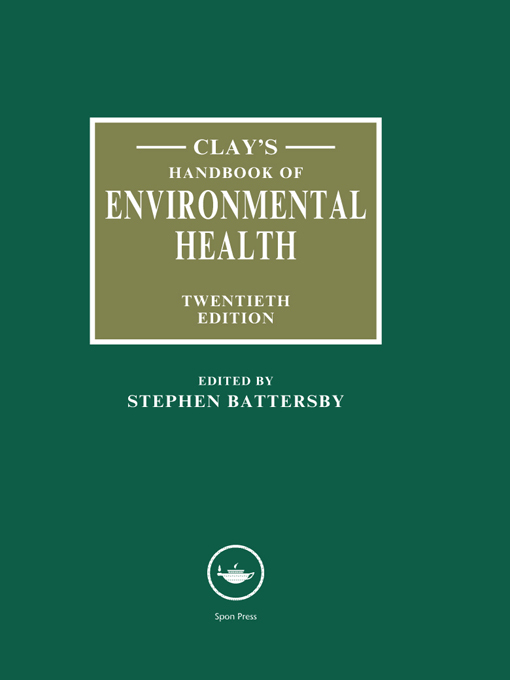 Clay’s Handbook of Environmental Health, since its first publication in 1933, has provided a definitive guide for the environmental health practitioner or reference for the consultant or student. This twentieth edition continues as a first point of reference, reviewing the core principles, techniques and competencies, and then outlining the specialist subjects. It has been refocused on the current curriculum of the UK’s Chartered Institute of Environmental Health but should also readily suit the generalist or specialist working outside the UK.